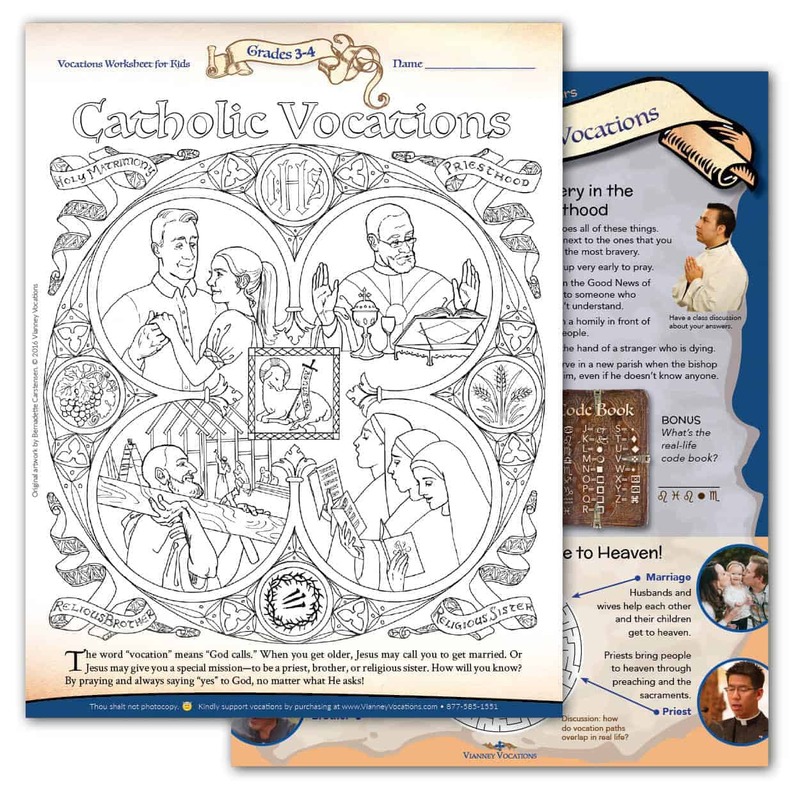 This worksheet for Grades 3-4 is perfect for Catholic Schools, religious education or to hand out after Mass. 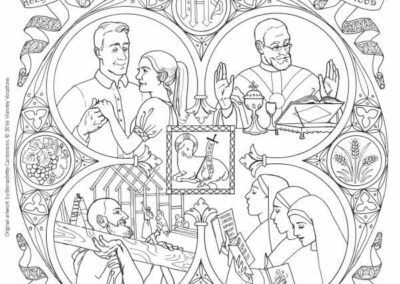 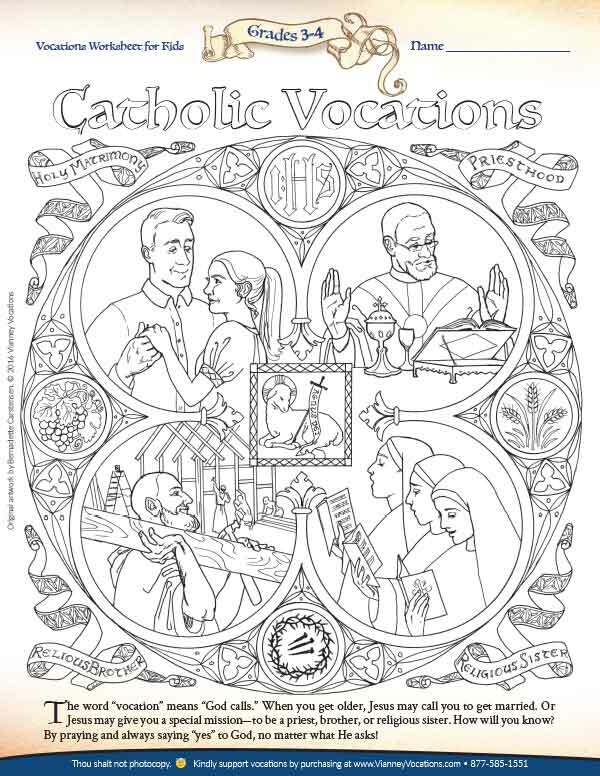 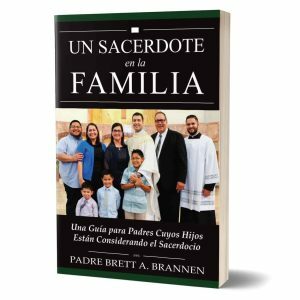 It features a coloring page with original artwork of Catholics living out their vocations to marriage, the priesthood, and religious life on the front, three word games and a maze, on the back. 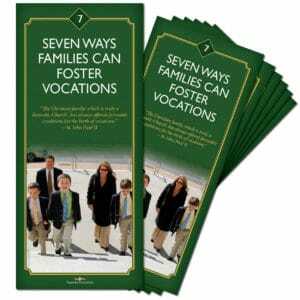 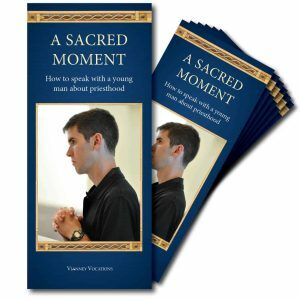 Designed to get kids thinking positively about the ways God calls everyone to a particular vocation.